After testing out various strollers over the past few months, I finally discovered BOB 2016 Revolution PRO as an outstanding Stroller. If you are fond of walking or jogging in every weather to take “off-roading" on the trails, I would like to recommend you this Revolution PRO. The ride of this outstanding stroller is incredibly smooth. I ensure that you must feel the extra safety of your kids with it. So far I believe that you must be happy with this BOB Revolution Pro! The BOB 2016 Revolution PRO Str﻿﻿oller Review will deliver you the updates of 2016 version of it. Apparently, it has developed its features to make it more user-friendly. So, let's take a look! As a stroller is an alternative of your arms or hip, it is mainly for comfortable transporting. So easier strolling must be considered. Safety and comfort of your baby will get the most priority from you. Best strollers provide strolling with a safer environment and comfort for Baby. Good strollers are light in weight. There should be enough storage for keeping baby products in it. After all, budget plays a vital role in this sector. So it should not extend one’s budget. Are you confused about the fundamental difference between Pro and Flex models? For off road running up and down the hills, Pro model is the best. You will have the ability to slow down quickly with the attached hand brake. But for jogging in the park at an even pace, you may have the Flex model. Because you may not need a hand brake then. The Huge basket which is almost 15% larger than before offers you to keep more stuff quickly. Why you consider BOB 2016 the best Stroller? Every parent feels a natural urge to keep their baby safe. So a stroller is undoubtedly beneficial for both kids and parents. The purpose of a baby stroller is to make it easier to carry the baby while you walk. For this reason, I can suggest you the BOB 2016 Revolution PRO Stroller as one of the best strollers. There are some excellent updates which must attract you. You may take some considerations to find the best one. Among them a lifestyle, budget, comfort and efficiently monitoring access are important. For the safety and comfort of your baby, buying this best stroller is a wise decision. Which are new for 2016? 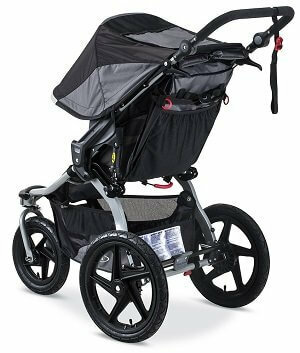 BOB 2016 Revolution PRO Stroller has included some updates for a better experience. The weight limit is 75 pounds which were 70 pounds before. So it's now usable for the extended period. Sometimes you may face trouble for keeping necessary goods. But it's not a big deal now because the basket of this stroller is 15% larger now. The release is quicker than before. Recline of it is also simpler now with a strap system. You may recline it by one hand now which is very comfortable. BOB has redesigned its frame, and its weight has slightly increased. It is now more attractive with its plastic construction. The quite angled and more upright seat will help babies to sit correctly. The new update has included some new beautiful colors which will give you multiple options to choose. How is customer service of this stroller? BOB offers a 5-year limited warranty on the frame. You will get a 1-year warranty on small parts and fabric also. The best place to buy this amazing stroller is Amazon. It offers free shipping and free returns. Probably you will get it from here with the lowest price. You may not pay the sales tax for it. As a customer, you should be satisfied with their services. I think it is amazingly satisfactory. Researching on various kinds of strollers has enriched me with the essential qualities of the best strollers. 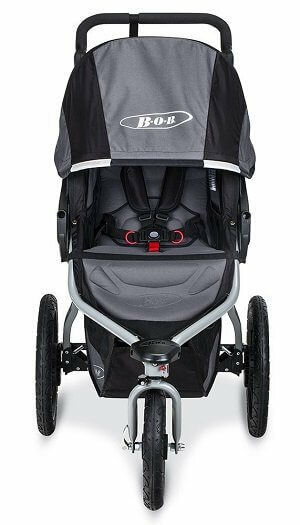 BOB 2016 Revolution PRO Stroller Review is a sum of all these experiences. According to it, I can state that Revolution PRO is an investment piece. It is entirely loaded to conquer even your most intense outdoor adventures. I think it is a perfect fit for any parent and recommend you to have it.